Having worked in 80 countries, ICRC had a vault of stories from all over the world just waiting to be told. With the help of Brandon Tauszik, we aimed to share the work ICRC is doing in Lebanon and its timeless story, where neighbors are intricately pitted against one another. But how do you accurately capture and distribute the specifics of a far-away, war-torn place without sacrificing significant details? 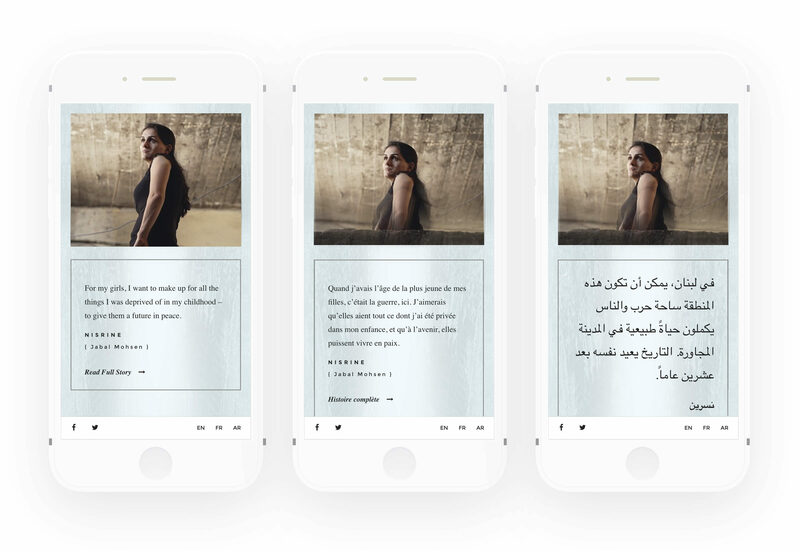 By creating a single landing page focused on interactivity and animated photography to tell the stories of people living in the chaos of Lebanon’s civil war. 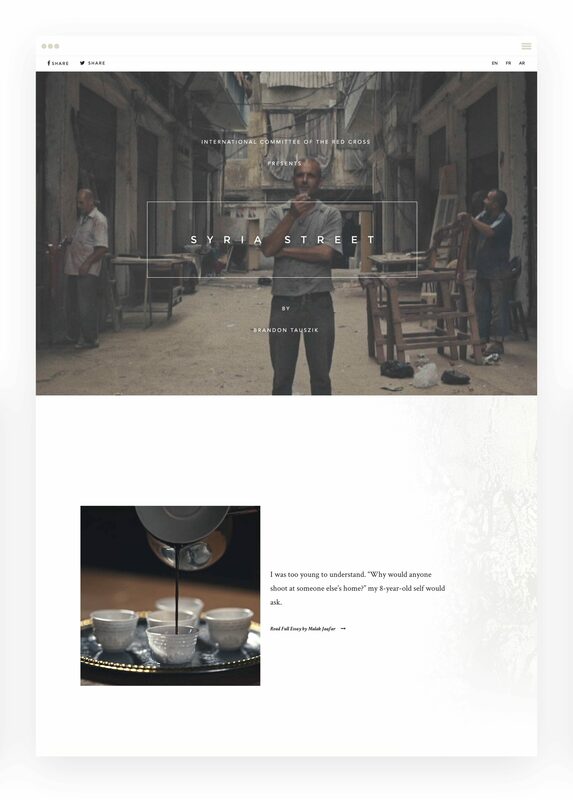 We wanted to make their animated GIFs come alive in a rich, visual site that would peer into the doors of Syria Street as well as the future of strong, digital storytelling. To reach people all over the world, it had to be accessible in multiple languages and on slower connections. Tasked with featuring a multitude of strong imagery and powerful stories on a single page, our designers wanted to avoid overwhelming the user. So they incorporated textural maps along with subtle colors and clean lines to distinguish the separate sides. By incorporating intentional spacing between objects and sections, they created a spacious environment where the content could sink in one story at a time. The high-quality GIFs from SprinkleLab also came with a roadblock: massive files that would play inconsistently across devices. To get both high performance and artistic quality, we used high-res, compressed video on repeat for desktop and progressively loaded GIFs as users scrolled on mobile– giving the audience the best of both worlds. Syria Street is alive. It’s beautiful, it’s trilingual… it’s being written about by magazines and outlets of high regard all over the world as we speak… And it would’ve been impossible without you guys.